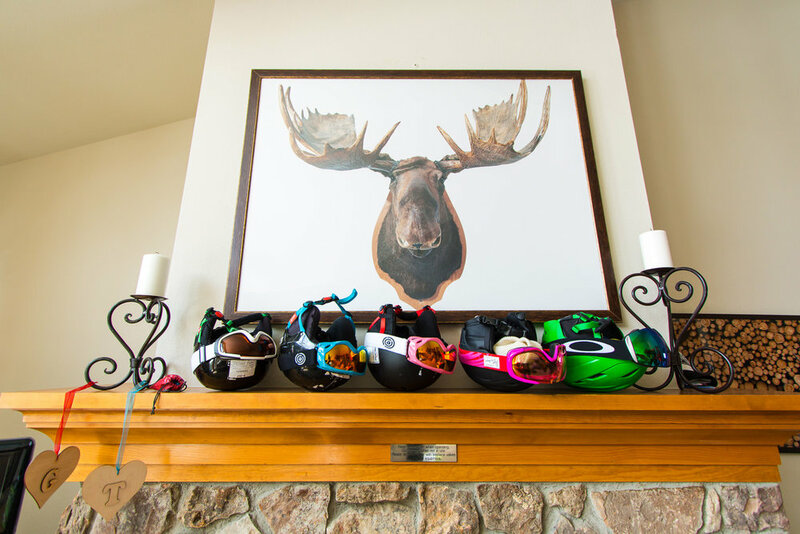 At the top of Swan Mountain Road rests an accessible bit of heaven ready to host your elopement and intimate wedding. 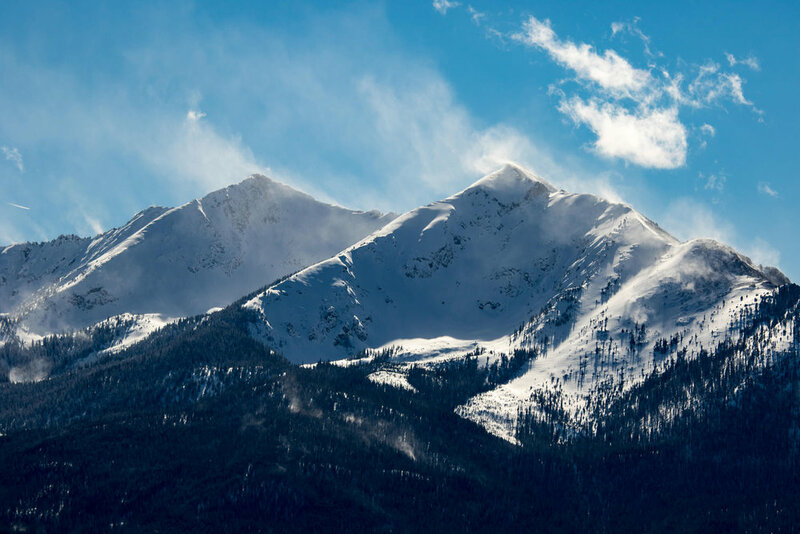 During ceremony, your guests look South to the town of Breckenridge and the surrounding mountains. This well-placed overlook can hold about 35 guests standing, or about 30 in chairs. It's a public space so you can expect curious hikers smiling as you exchange vows and timeliness is important as another wedding party is often ready to use the space the moment you're done. A little planning is all that stands between you and a Sapphire Point Wedding. There are wedding stories, and then there are wedding stories. 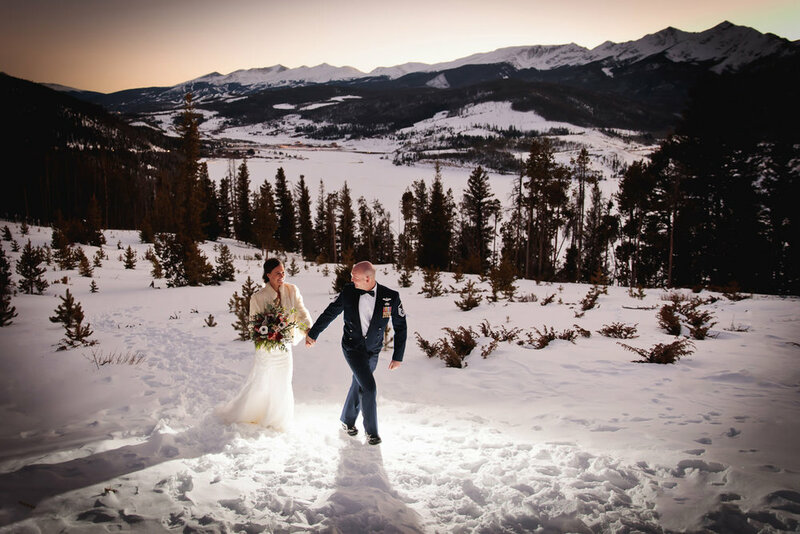 Rachel & Leigh came from Australia for a destination elopement on the side of a mountain in Colorado. It had always been in the plans since they fell in love, but some other things happened first. Like starting a successful roadway safety engineering firm in Oz. And having three kids, lol. The kids knew something us up with this surprise elopement when mum & daddy kept insisting they get fitted for formal close and the bags to Colorado were awfully big! They were delighted when they heard the news, and after all what children don't love a wedding? 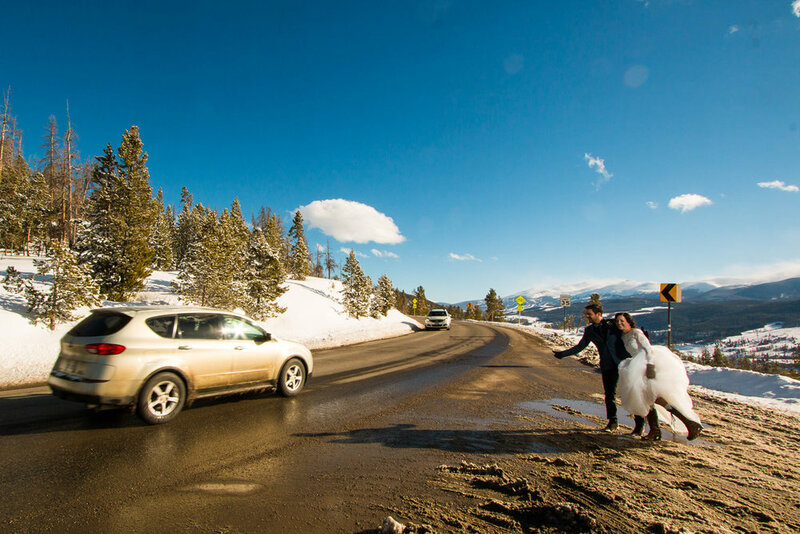 We started with some getting ready photos at their Air B+B in Breckenridge, then after a first look we made our way down valley for the Sapphire Point wedding. The winter sun was kind to us all and made for some breathtaking views. You can see for miles! After some fun walking around Breckenridge, I said goodbye to my Australian friends. Now wishes of good luck were needed. By now, everyone knows this union will last. Especially their children. All the way from Missouri, Kaitlyn + Joshua took a popular route these days. Have an intimate wedding away from home centered around a nice AirBnB property in a scenic location. A big Breckenridge home with lots of room. Like camping out, in luxury. If you're thinking about planning an event like this, trust me — you're not alone. There's really no trick to setting it up, other than just allowing the right amount of time to get around to various spots and being realistic about what you and the posse can pull off. 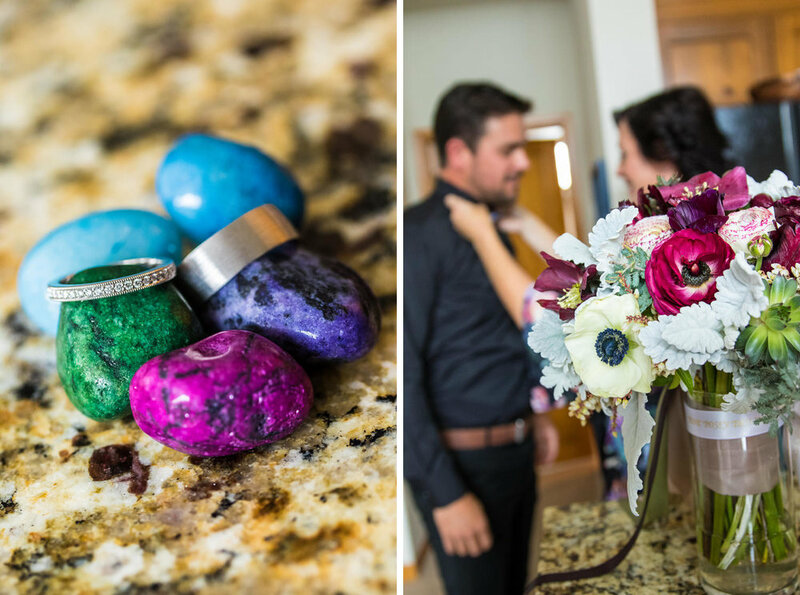 We photographed Kaitlyn and Joshua's day for Custom Weddings of Colorado and they are experts at helping you staying realistic about how the day can go and helping with critical arrangements. We recommend Wendee and her team without hesitation and if you're cautious about planning an event from far away, reach out to them. You're in good hands. We most often photograph a Sapphire Point Wedding with our 3 hour elopement service. 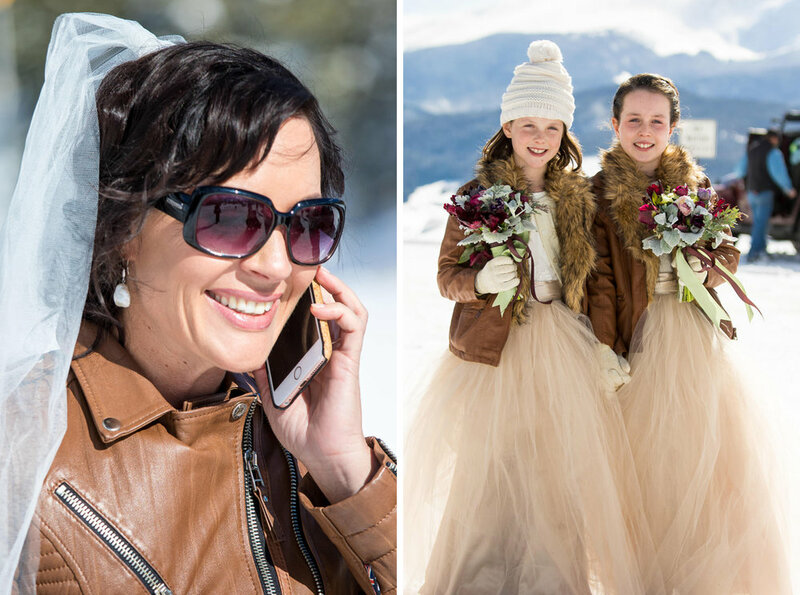 You quickly a downloadable gallery with all your wedding images and time allowing, we can also shoot photographs around Dillon Lake, Keystone, or Breckridge — adding some variety to your image collection. The shorter elopement service is available Monday-Thursday (holidays excluded) and is the perfect way to get high end wedding photos on an elopement budget. Am I available on your day? Share some information with me below and I’ll let you know within 24 hours.